The second week of this legislative session was all about the budget. On Tuesday, Wednesday and Thursday, the joint appropriations committee met to receive budget overview presentations from different agencies in Georgia’s government. Each agency sent a representative to review their budget proposals and answer questions from lawmakers. Here are some of the overviews from both the Governor’s Amended FY 2013 budget (the budget from July 2012 to July 2013) and the Governor’s proposed FY 2014 budget (July 2013 to July 2014). Following the data is the bottom line on the budget. Reduced funds for debt services ($144.2 million) to reflect savings from favorable bond rates. Funding to restore the Pre-K program to 180 days. It was cut to 160 days under Governor Deal in 2011. The Revenue Shortfall Reserve Fund (the “rainy day” fund) was increased from $328 million to $378 million in FY 2013. From the first look, there are positives and negatives to the Governor’s proposed budget. 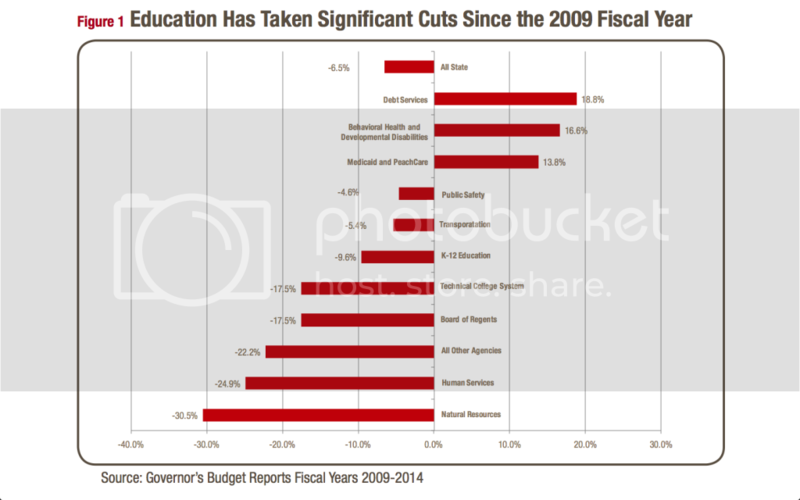 On the positive side, K-12 education does not endure budget cuts in FY 2014. The Quality Basic Education Equalization program that aids school districts with low property tax revenues is fully funded in FY 2014 (although not QBE overall). The $6.5 million Strategic Industries Workforce Development Grant will be some welcome relief in our Technical College system by providing extra financial assistance above what is covered by traditional HOPE Grants to Technical College students pursuing high-demand certificate or diploma programs. On the other hand, the Great Recession has created serious budget challenges that will need to be addressed throughout this General Assembly session. Since 2009, K-12 education has taken a 9.6% budget cut, the Board of Regents and Technical College Systems have both taken 17.5% budget cuts and in Amended FY 2013 alone, state agencies are being asked to cut an additional 3% on average (a total of $26 million). The budget must run a legislative gauntlet during the session. After this week’s hearings, budgets are dissected by appropriations subcommittees in the House, reviewed by the House Appropriations Committee and then return to the House floor for debate and vote. After passage by the House, the budget legislation undergoes the same process in the Senate before it can be signed by the Governor. As the legislature works through the budget this session, Spencer will work to make sure the legislature provides the investments in Georgia’s children, workforce and infrastructure that we need to be economically competitive. Providing these investments and increasing Georgia’s economic competitiveness will result in more earnings for middle class Georgians, stronger schools for Georgia’s children and efficient transportation systems. As a final note, Spencer met for the first time last week with a team of young, talented interns who are UGA students and recent graduates. 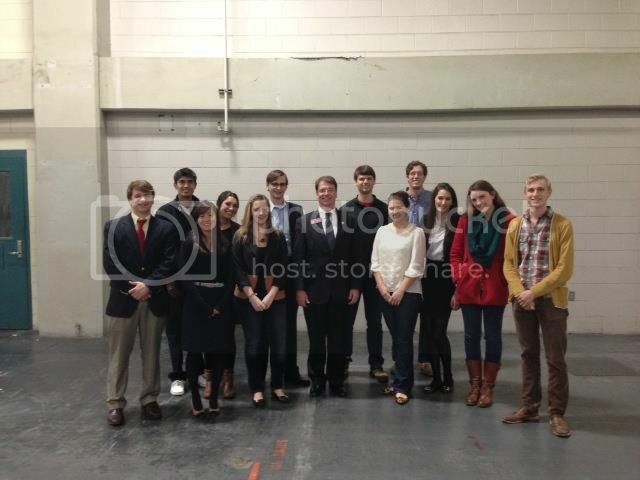 This team will be working to analyze proposed legislation regarding both budget and non-budget issues. Their work will be used to inform legislators of the impacts of policies our legislators consider and keep our constituents informed on all of the important legislative news. Thank you for the opportunity to serve you in the state legislature and have a great week!